Samsung has revealed a long-lasting electric vehicle (EV) battery prototype that may eliminate buyers concerns of a limited driving range. It is designed to improve the futuristic cars driving range as well as reducing the impact to the environment in production. 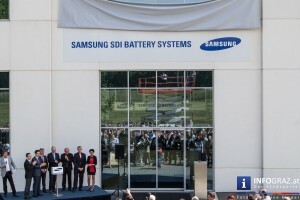 Samsung SDI, the battery-making affiliate, unveiled the prototype at the recent Detroit Auto Show. The design sports a high-density prototype battery, which allows a driving range of up to 600 km off one single charge. This is a vast improvement in comparison to other available batteries which can only reach 500 km without recharging. 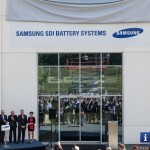 Samsung is expected to start commercial production of the electric vehicle batteries by the year 2020. Range anxiety is a commonly faced issue of electric vehicle drivers/ potential buyers. Electric vehicle charging stations are becoming increasingly common these days, however they are very scarce compared to traditional fuel stations.